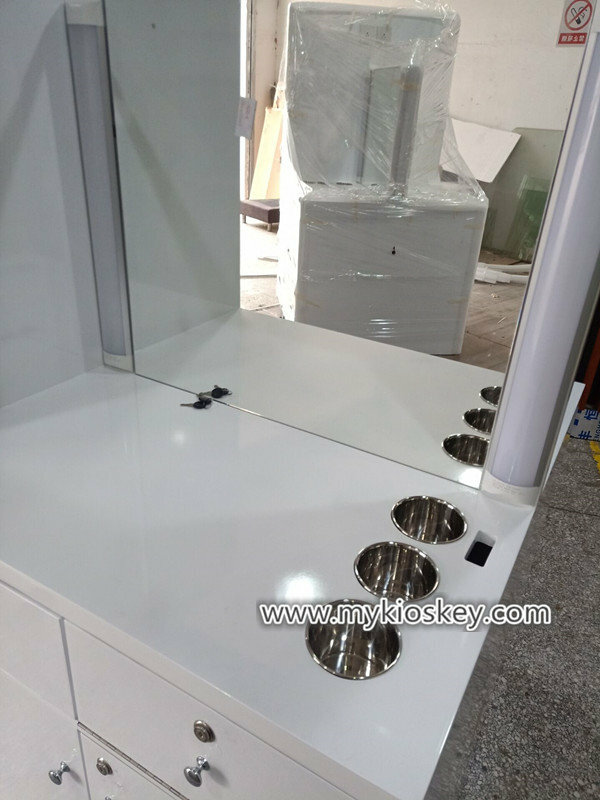 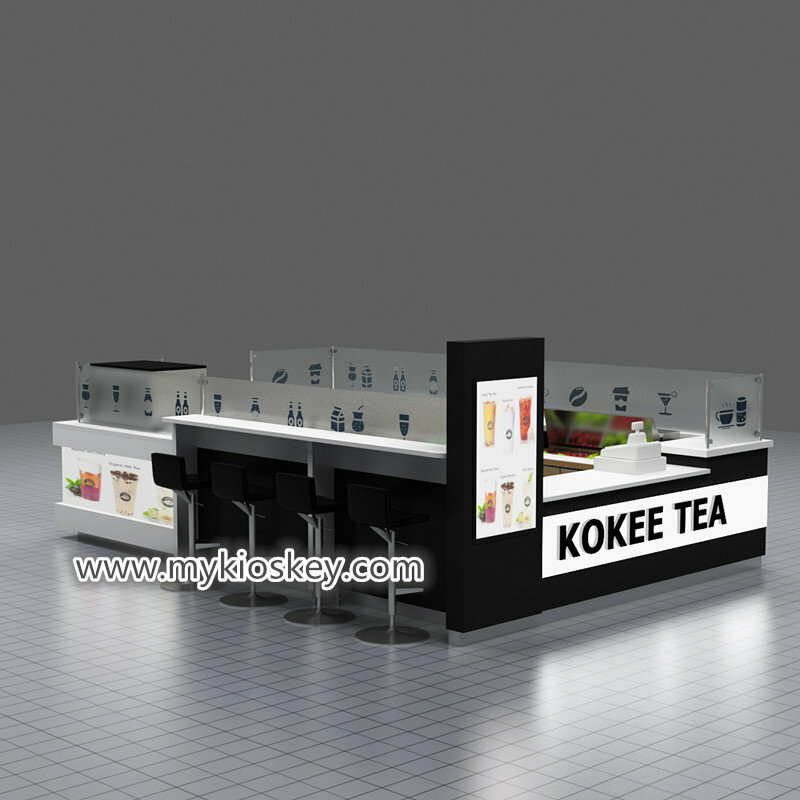 Today I want share you a kokee tea bubble tea kiosk with you.we already made 2 sets kokee tea kiosk for a Korea customer before. 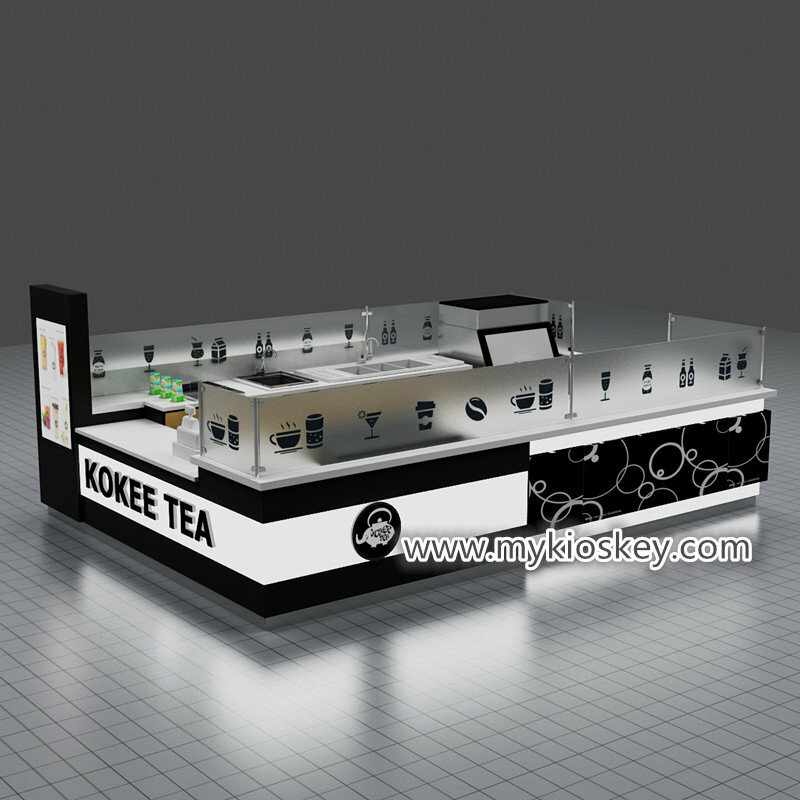 Kokee tea is a famous brand in Korea,now this is the third mall bubble tea kiosk we made for him.He like this kiosk very much,so here share with you. 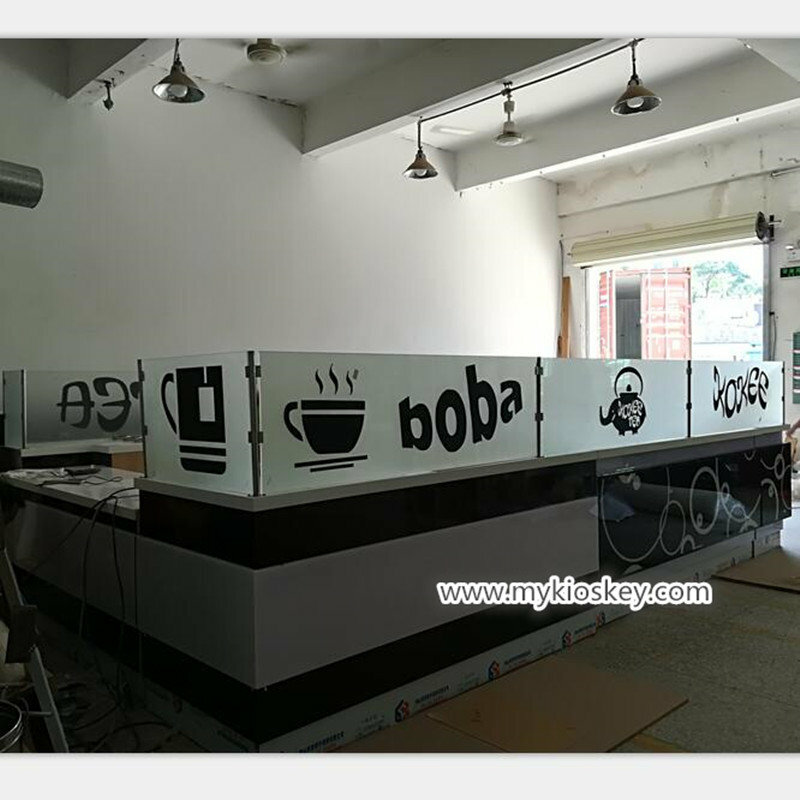 it is 15ft by 10ft,not like many bubble tea kiosk used bright color,this kiosk used black color match white,looks very nice. 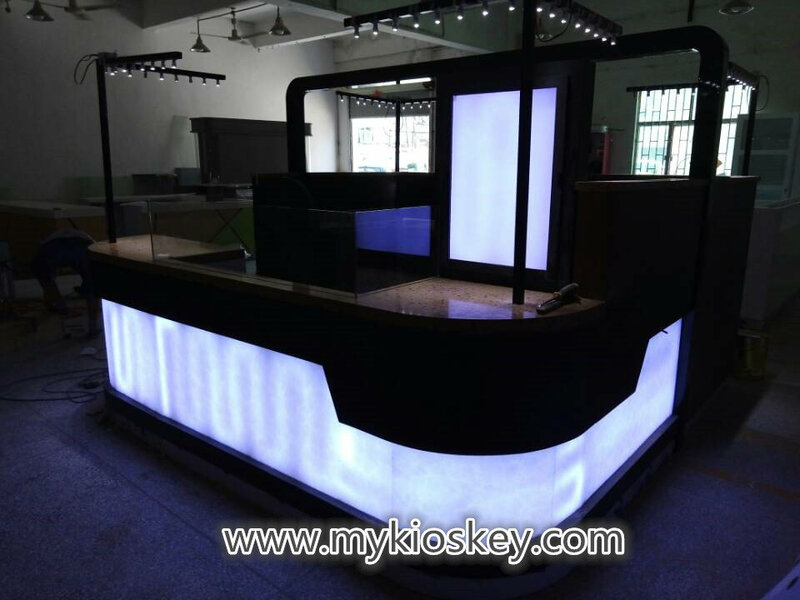 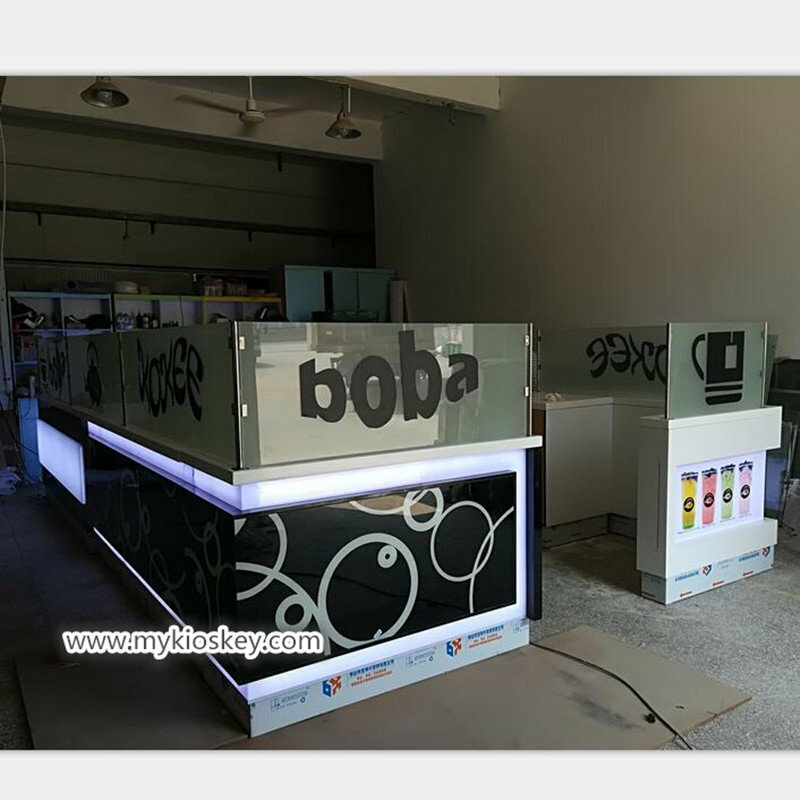 stylish art glass match frost glass make this mall bubble tea kiosk looks very modern and high-end.A big led light boxes for advertising,also has a bar counter for customers to have food. 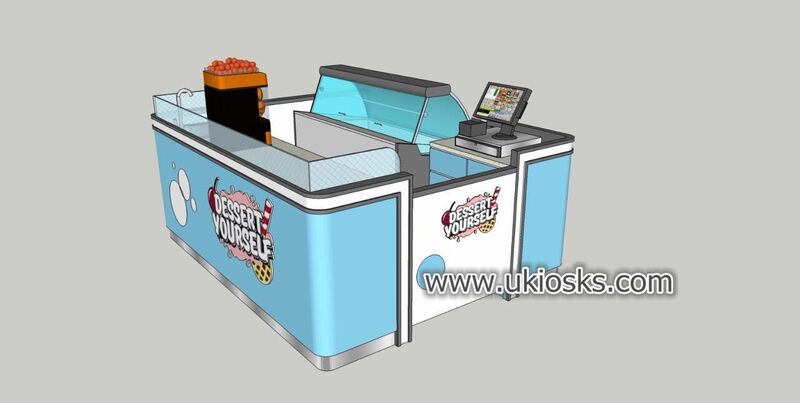 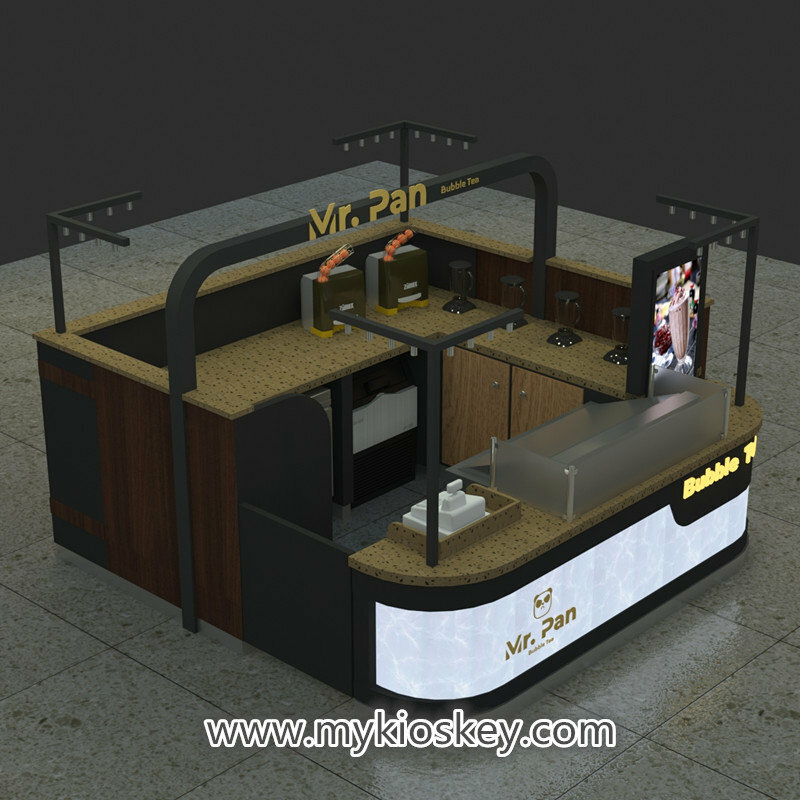 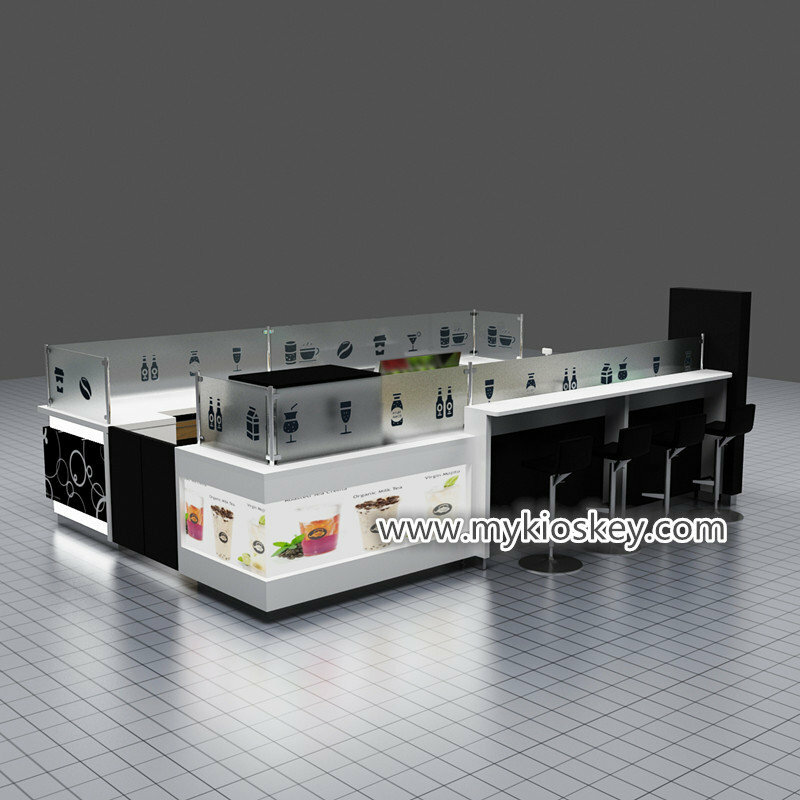 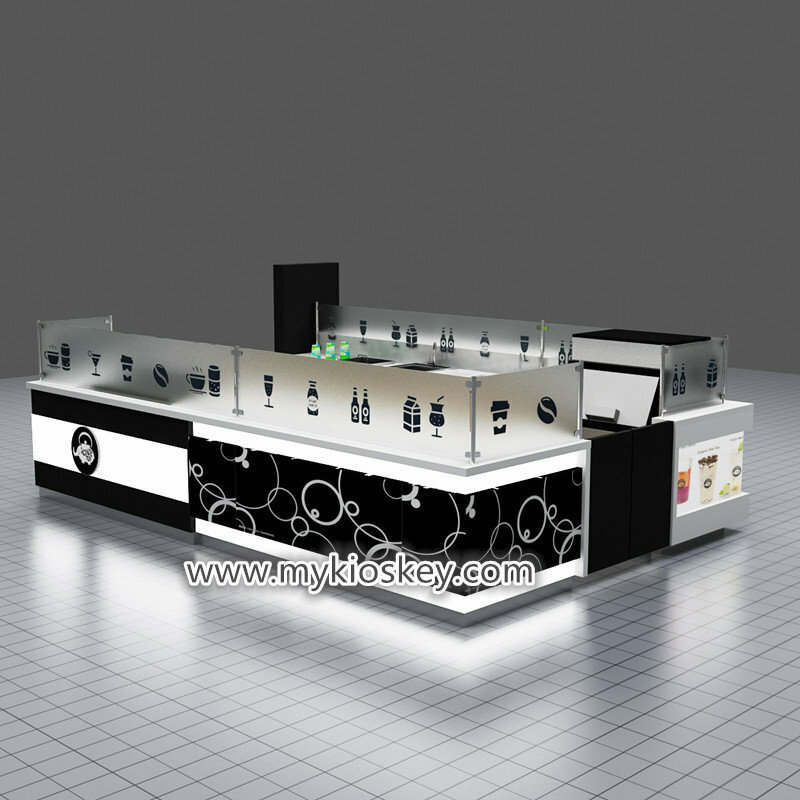 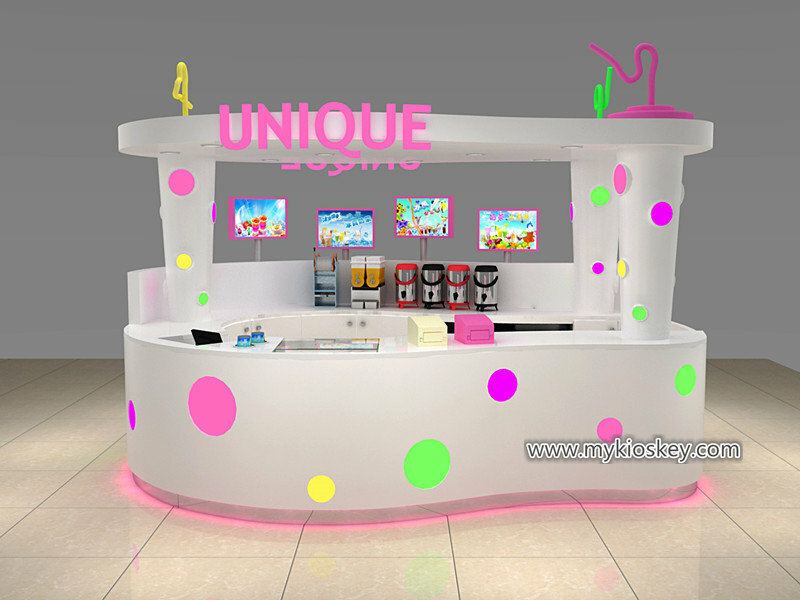 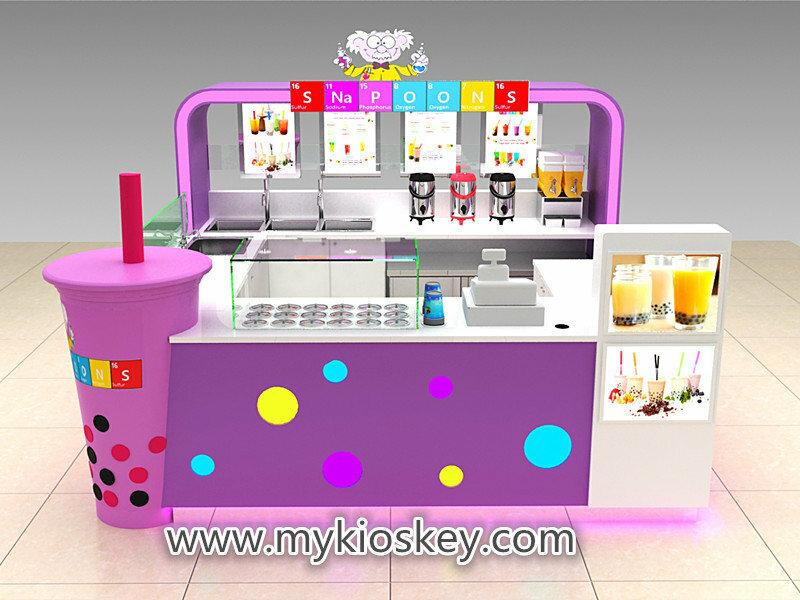 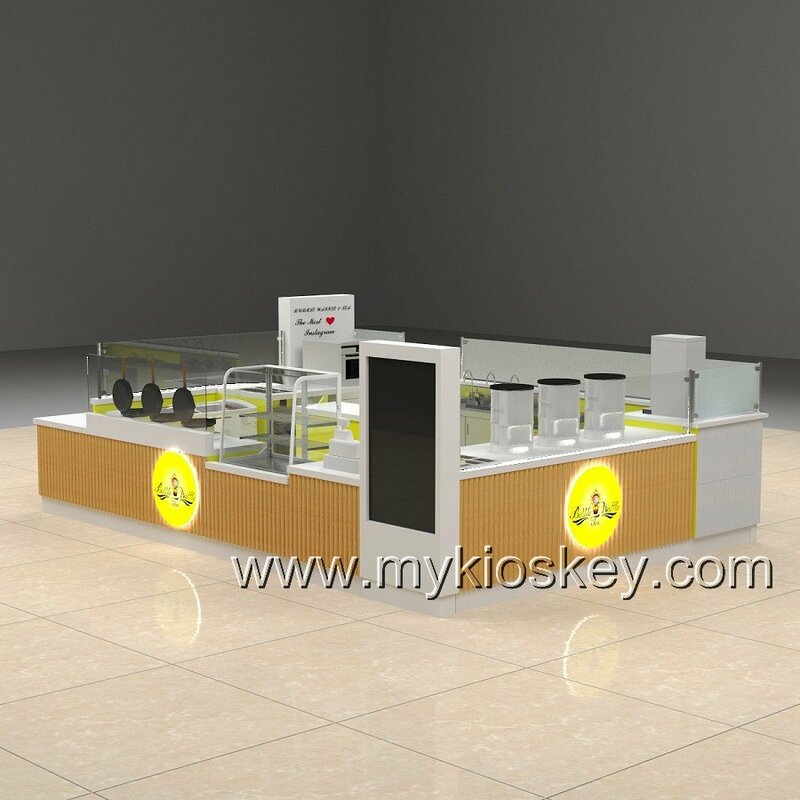 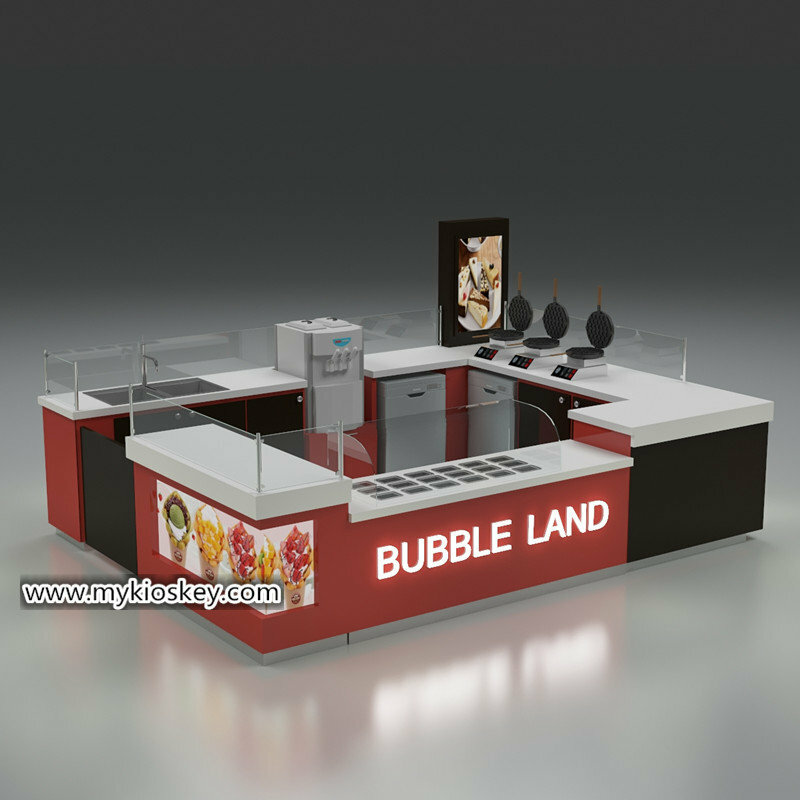 Why you can choose our factory to make mall bubble tea kiosk? 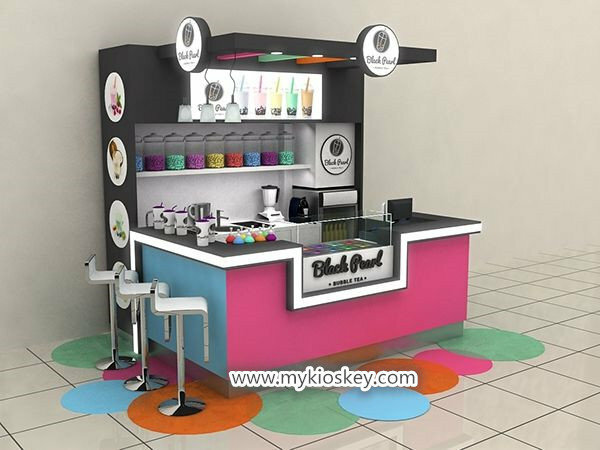 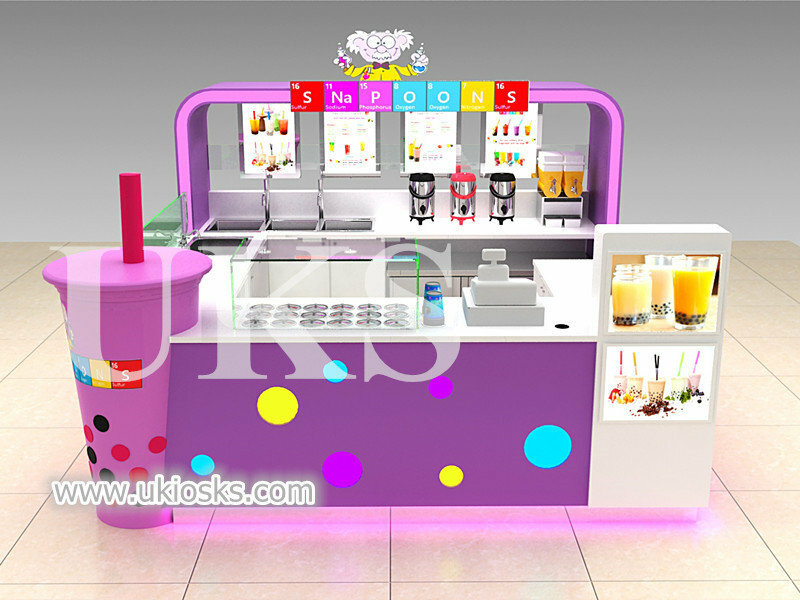 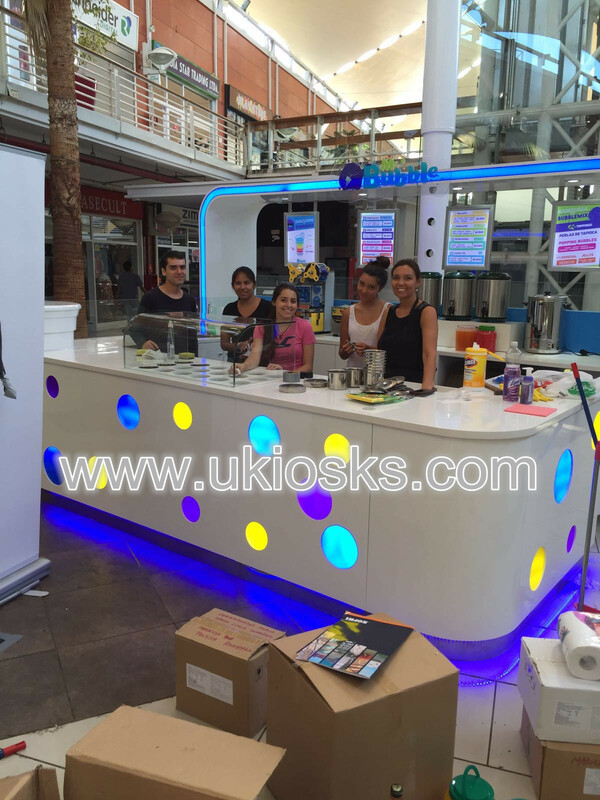 How to customize a mall bubble tea kiosk?